He was in his teens, gangly and clearly confused. He was standing on the 1st tee with an older man who was doling out advice. “Put your hands like that,” the man said, demonstrating the baseball grip on the club he held. “Like this?” the kid asked, using the reverse grip favored by hurlers. “Go on, would you. There are people waiting.” The exasperation in the man’s voice was obvious as he glanced behind and nodded an apology to the waiting group. The kid tried it, complained some more and finally heaved the big shoulder-shrugging sigh perfected by teenagers the world over. The man gave him a ball. The kid dropped it on the ground, ignoring the wooden tee, reversed his hands into a cack-handed grip and ripped his tee shot straight down the fairway. Sometimes there’s natural talent… and sometimes we have to work hard to get to where we want to be. Most golfers I know are scared of taking golf lessons, terrified by the consequences of change. There are aids aplenty to help you improve your game and, after a traumatic childhood golf lesson of my own, the Golf Grip was a particular device that caught my eye. Considering all the hi-tech gadgets around these days, the Golf Grip is remarkably simple and basic (although there must have been plenty of technological development). It did, however, take 10 years to develop, so this is no flash-in-the-pan idea. I won't try to describe it as the following picture says it all. of (right thumb/hand should be turned over more I suspect). 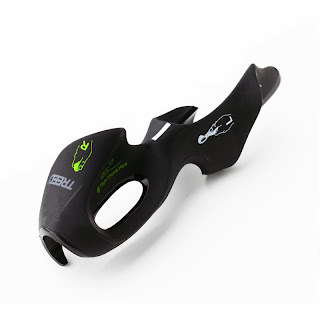 It's easy to use too, as it is a small device that slips up over the golf grip of your clubs (all of them). You line it up with the clubhead and go to work. The idea is that it positions your fingers/hands into what is perceived as a conventional grip. In particular, it leads your thumbs into a designated formation and then your hands simply follow on. Clever, effective and simple. At least it was when I tried it. I gave a club with the Golf Grip attached to the three guys on the Adare Inside The Ropes trip, to see what they thought. There was a bit of fidgeting as Padraic, Mark and Darren tried to get their heads around it, a bit more when their fingers didn't slip into the right position and finally nods of approval or shakes of the head. Not one of them gripped the club as the Golf Grip would suggest. Darren, playing off 4, had the most trouble. And there's one golfer in my home club who plays off 1, using the reverse hurling grip... I don't see this device in his future. That, of course, is the battle. If you've grown up with one grip and you've been working your way down to single figures, changing that grip can prove a nightmare. The consequences of change could be severe. Padraic, off 17, has been playing the game for only a few years and he was more optimistic about Golf Grip's benefits. What you do with your hands and fingers the first time you pick up a club will probably shape the way you play golf for the rest if your life. I've used the baseball grip since I first started playing. So, it's the sort of thing you need to be using early on in your golfing endeavours. Either that or you're going to have to work hard to build 'muscle memory' to change a grip that you've nurtured and shaped for years. The makers acknowledge this, too. But, given time and effort, the 'correct' grip should improve your overall game and give you greater control. "Designed in conjunction with several PGA Golfers the golf-grip™ was tried and tested on hundreds of Golfers of all abilities. Consistent use is found to promote 'muscle memory' allowing the Golfer, with practice and time, to achieve the perfect grip - without assistance. Spend a little time researching the perfect golf grip and you will find many books, articles and videos from some of the most prominent Golf industry professionals. They all seem to agree, the grip is one of, if not the most important aspects of a Golfer's game. The first thing to get right." I have swung with it maybe 400 times, hitting foam balls in the back garden. My grip is fairly close to what Golf Grip would have me do, which has made it much easier... but as with any training aid or golf lesson you have to believe in it, you have to practise and you have to persevere. If you discover that your grip is a fair way off then that's some perseverance you're going to need. I can't honestly say that this product has improved my game but that's because my game is so poor at the moment that I need a miracle not a Golf Grip. 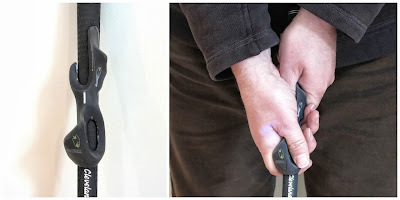 In the very big plus column, the Golf Grip is easy to understand, easy to use and practise with, extremely well made and, at €18, not at all expensive. If you feel that your grip is letting you down or you're just looking for ways to improve your game, the Golf Grip may be the perfect place to start. You can buy your Golf Grip here. 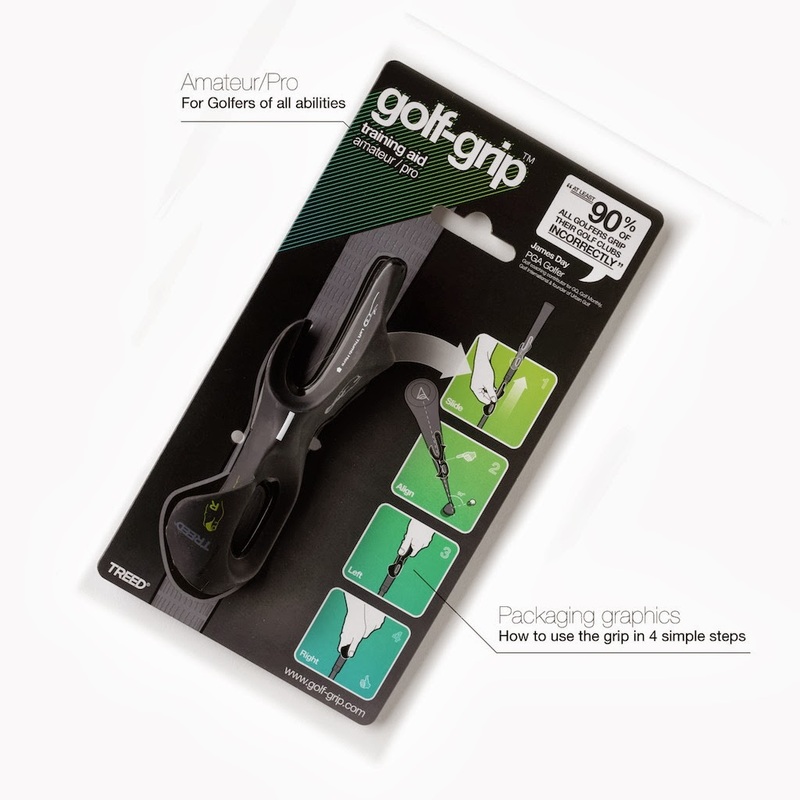 Thank you for sharing this useful post on golf grip!